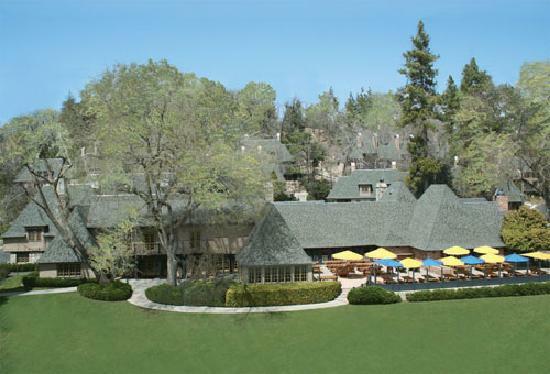 Our annual conference at the UCLA Lake Arrowhead Conference Center will be held on May 3-5, 2019. As always, we’ll be convening at the lovely UCLA Lake Arrowhead Conference Center and Resort in the mountains of southern California. The retreat atmosphere, the beautiful surroundings, the comfortable cabins, and the delicious meals always make for a wonderful conference. For this year’s meeting, we depart from the usual thematically-organized weekend. Instead, we will revisit a selection of seminal psychoanalytic texts, thinking with and working through them in light of the group’s current theoretical, clinical, and social concerns. The goal is to revive the original mission of UCNCPIPC, finding ways to bridge the distance between the academy and the analytic clinical world through engagement with core issues in psychoanalytic theory and practice. From its earliest days, the psychoanalytic tradition has been characterized by two interlinked concerns: the development of psychodynamic theory and the therapeutic challenges of the clinical encounter. This has led to a unique two-way conversation between ideas about the mind and its dynamics on the one hand, and the realities of lived experience, individual suffering, and the shaping of subjectivity by the social world on the other. Those two dimensions have always fed the historical relevance of psychoanalysis as well as its timelessness. This is why, perhaps, psychoanalytic writing lends itself so readily to constant rereading, reinterpreting, reworking, and reprocessing. We are soliciting session proposals from people who would like to facilitate discussion of a psychoanalytic text that is particularly meaningful to them. Ideally, each proposal would identify one or two related texts (short enough to be read by everyone attending the session), that will be facilitated by one or two convenors. As always, the format is modelled on a seminar or workshop: a 10-15 minute introduction and orientation by the facilitators, followed by thoughtful group discussion. What text would you like to share and discuss with others who are engaged in the common enterprise of applying psychoanalytic ideas to the larger world of scholarship? What text has been particularly important in broadening your own thinking and/or clinical work? What text seems to you relevant for understanding our present while powerful enough to transcend the frontiers of time? While any reading can form the basis of a session, the selected text should—ideally—be one that not only has been, but continues to be, meaningful in bringing together psychoanalytic ideas and clinical, social, political, or cultural issues. It should be a text that has served as a lodestar in your own intellectual and/or clinical development, and one that enables new or deeper insights, given changing theoretical, social, and clinical contexts. The only requirement is that you feel it would interest the group and lend itself to a process of discussion, reinterpretation, or critique by conference participants. We welcome proposals for additional sessions and look forward to a weekend of “working through” some of the texts that have most shaped the thinking and clinical work of our group members. (Call for panels and workshops will be available soon). NOTE: Please consider registering early so we have a better idea of attendance, how many rooms to hold, and how many graduate students we will be able to accommodate. I also want to encourage you to spread the word about UCNCPIPC, and encourage others who have not attended in the past to consider doing so.